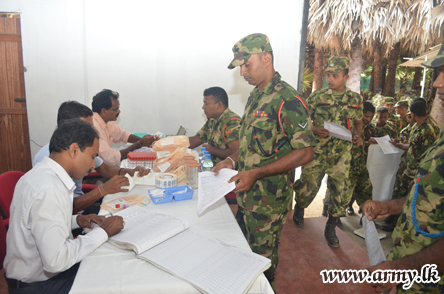 More than 200 officers and other ranks as well as members of the civil staff serving the 55 Division Headquarters atVettalaikerny, Jaffna, in response to a request gave away their blood for the use of Tamil civilians under treatment at Jaffna Teaching Hospital during a mobile project on account of Poson Full Moon Day (23). 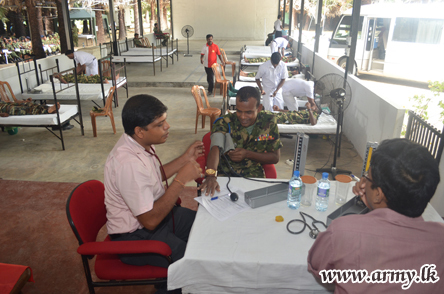 The Army was compelled to organize this campaign after medical officers at Jaffna Teaching Hospital turned to the Army for blood since an acute shortage exists in the Jaffna Blood Bank. The matter was brought to the notice of the 55 Division Headquarters by medical authorities. 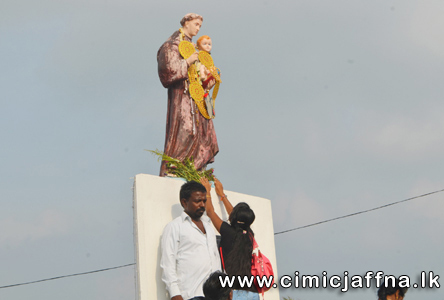 Sri Lanka is at a crossroads. After the end of a long civil war, the country has an historic opportunity to draw on its strengths and riches to create a unified, prosperous and just society. But it is also faced with complex problems, mostly arising from its recent history. In Australia, we only see the influx of Sri Lankan refugees. But this is merely a symptom, hinting at the larger problem of post-war reconciliation at home. Sri Lanka is beginning to exorcise its ghosts, but Australia and the international community need to help it on its path to peace. Reconstruction and reconciliation in post-conflict settings have to occur together. The top-down provision of resources by governments or international agencies needs to be combined with the process of bringing communities together to heal old wounds and where appropriate, to find ways to resume communication with old enemies. This process of reconciliation is painstaking and can be difficult. Without reconciliation, facts can take on lives of their own, acquiring perverse meanings. The building of roads can be seen as an act of colonisation. The construction of schools and the provision of learning materials can be seen as brainwashing. Even the provision of food and medical care can be interpreted as tools for enforcing and entrenching dependence.